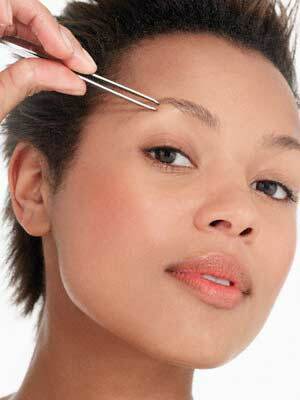 last week I was in desperate need of an eyebrow wax. and when I italicize desperate I mean it was a full on Frida situation. I openly (and embarrassingly) admit that I haven’t been waxed in months, merely relying on my tweezers to keep my caterpillars acceptable until I decided to give in and get waxed. I have really sensitive skin, leaving me prone to crazy wax burns that turn out looking like an extra set of eyebrows right under the originals. 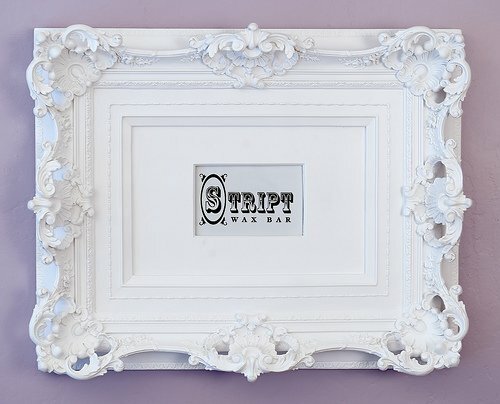 Stript Wax Bar – also located in San Francisco and Palo Alto, CA – uses hard wax that is meant to cover a larger area in a shorter period of time. less dip and strip and repeat two, three, four, ten times. who wouldn’t love that?! plus, with a glass of champagne or water with lime you’re immediately comfortable in this luxe environment donned with white orchids, pale gray trim and a plushy violet loveseat. if you’re going to get Stript, this is the place to do it. PS – don’t forget to read their “wax rules” before you go!